In today’s interview Dasler talks with Chase Johnsey, renowned dancer, recently awarded in the UK National Dance Awards as Best Male Dancer 2015-2016. We want to know his expert opinion about one of the most outstanding events of the year and what it implies, Carnival make-up. 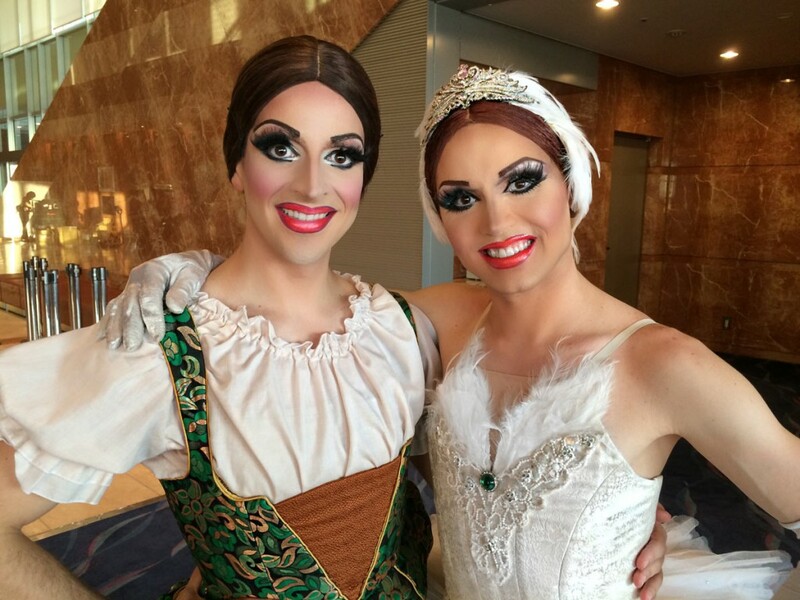 You are part of Les Ballets Trockadero de Monte Carlo, a world-renowned dance company where make-up plays a very important role: spectators have to see in first and last row color, movement, etc. Which are the biggest challenges in this process? The biggest challenges for stage makeup is to make your features stand out with the powerful stage lighting. It is super important to accentuate the eyes, eyebrows, and lips. These are the most expressive features of the face, and they must be seen all the way to the back row. Of course, every face is different, so often it takes some time for people to learn what works best for them. I’ve been able to see in social networks how you apply make-up and the result is extraordinary, easily comparable to painting a canvas. Where does this talent come from? I actually learned from real drag queen in the night clubs. I was always fascinated by how amazing they looked, so I asked them to teach me. It is definitely an art form. It isn’t easy to analyze a face and figure out which makeup techniques work best for you. That takes time and practice! The make-up that the characters of Trockadero require is very abundant and elaborated, how much time do you invest preparing yourselves? Normally we get about one hour and a half to do our makeup, but if a pre show catastrophe happens then we can get ready in as little as one hour! Do you always follow the same make-up patterns or you vary in each function? I tend to change my makeup for each role that I do. 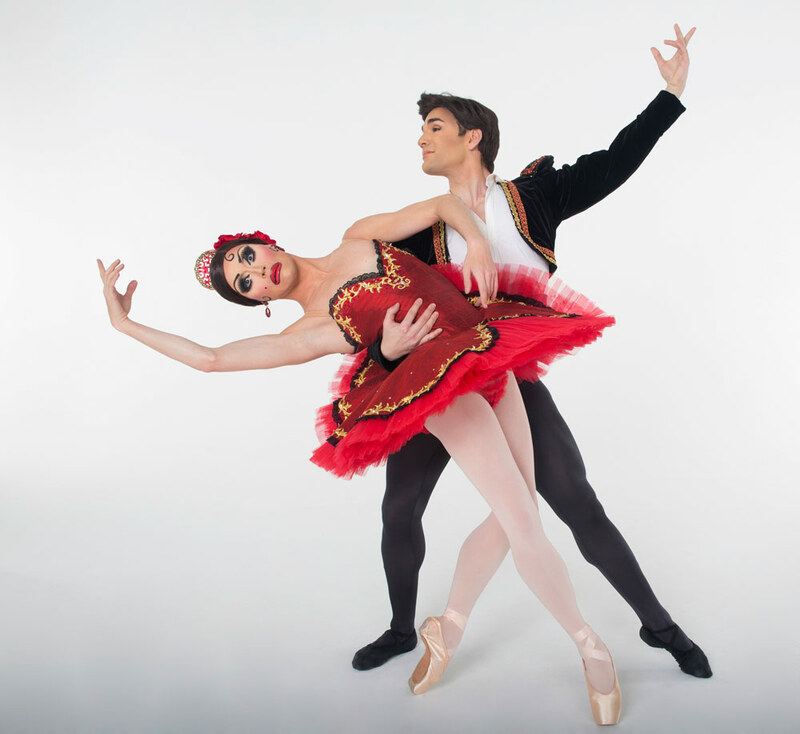 For example, for Odette, Queen of Swan Lake, I like to make my makeup very pale, and for Kitri, from Don Quixote, I spray tan my skin, do spit curls, and really try to look like I am from Spain! How do you achieve your make-up stay intact for the whole duration of the function? It is important that you use waterproof products, such as eyeliner, mascara, and eyebrow pencils. For the rest of it, it is very important to use lots of powder, as this will keep everything in place! Knowing that Carnival is about to take place, what advice would you give to a person with little experience that wants to make a radical change in terms of make-up? In my person experience, I love to research on Youtube. Youtube has some amazing videos about just about everything that can give you inspiration on whatever you would like to be. More than that, it is always good to practice a few times before you try a new look. What kind of products are the most suitable to achieve a good result? Personally, I love Kryolan and Mac. Although somewhat pricey, I think the quality of these products lasts you longer, and gives you a better result. When the Carnival season arrives the streets start to be filled with people dressed up and equipped with their respective make-ups. Among them we highlight the animal figures -tigers, lions, leopards, etc.- how can we achieve a more feline result? For feline result, it is most important that you shape the face in an upside down triangle shape. This in general will give you an obvious cat like appearance, then of course drawing on the cat nose and whiskers are important too. I think it is great when people go the extra mile to add fur like texture to their makeup, which is challenging but super effective! Another very recurring option is the fantasy make-up. What color combination do you think works no matter what? For Fantasy, I think the brighter the better! Bright purples, greens, reds, pinks, and anything that is neon! If we also want to complement it with the inlay of rhinestones, how can we avoid making it fall shortly afterwards? There are two methods to this! If you want to do it the professional way, you can buy liquid latex and put a tiny drop where you want then carefully set the rhinestone in place. The other method it to use eyelash glue! For make-up like the “Black Swan” where the entire face is covered (in this case in white) do you think that a pre-base should be applied to improve the result? Using a white base is a great idea if you are looking to really make colors and contrast pop! However, you must be careful you are mixing black and white together for black swan, as you might end up with a grey mess! Make sure that you set the white base with powder before adding any black after! Oh the list is quite long, but here is a short list of my essentials. Water-based makeup is known to be easy to apply and remove, as well as being anti-allergenic, perfect for festivities such as Carnival. Do you know any other type that fulfills a similar function? I know that Kryolan offers a huge assortment of water based colors that are easily removed! Also we can find cream makeup with oil base of easy fix, and the make-up in bar (more economic) of all the types that you know which do you recommend for Carnival? I think for Carnival anything with vivid color is the best. If you go to a halloween store and get oil based brightly colored makeup, I think that would work!!! You don’t have to spend a fortune, it is all in how you apply! For those who want to give the maximum brightness to their disguise and want to use glitter what would you say to get a good result? It is important with glitter that you give the glitter something to stick to! For example, for an amazing glitter lipstick.. Put clear lipgloss on first, then with your finger carefully dab the glitter onto your lips and there you go! And finally, what would you recommend to a person who wants start in the world of Drag Queen make-up? Which parts of the face should work more and which less? Could you advise any tutorial? The main thing about starting drag is that you learn from everyone you can. Again, Youtube is a great source of makeup tutorials! I personally like “Miss Fame” on Youtube. 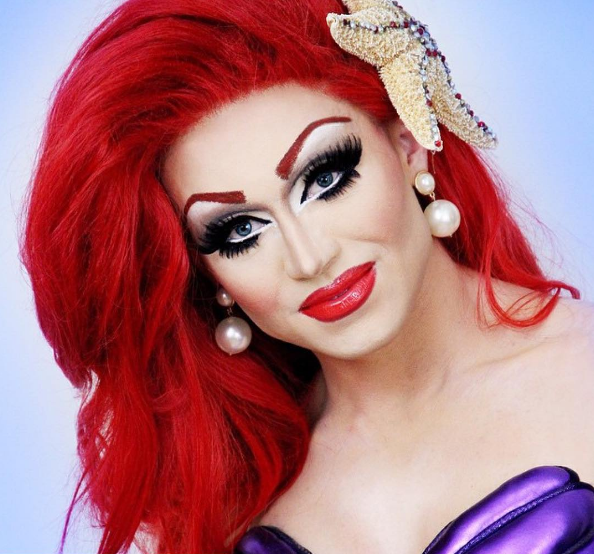 He offers a great basic drag look that many with a lot from! ¡Puedes leer la entrevista en Español aquí!